"In order to bring a case within the purview of Section 306 IPC, there must be a case of suicide and in the commission of the said offence, the person who is said to have abetted the commission of suicide must have played an active role by an act of instigation or by doing certain act to facilitate the commission of suicide." The Supreme Court reiterated that conviction under Section 306 of the Indian Penal Code (Abetment of Suicide) is not sustainable on the allegation of harassment without there being any positive action proximate to the time of occurrence on the part of the accused, which led or compelled the person to commit suicide. 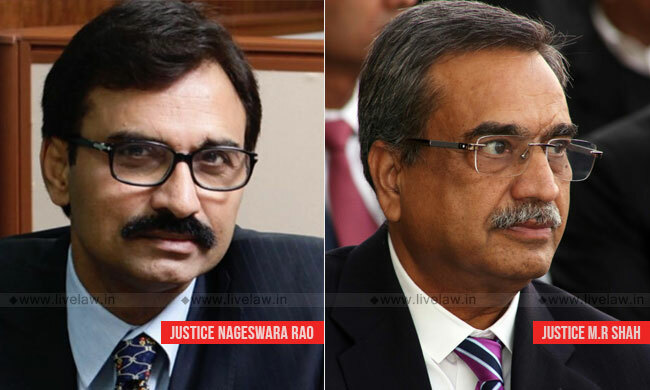 The bench comprising Justice L. Nageswara Rao and Justice MR Shah was considering an appeal (Rajesh vs. State of Haryana) against High Court judgment that confirmed conviction of Rajesh for abetting suicide of his brother in law, Arvind. In his suicide note, Arvind had stated that false allegations of demand of dowry were made against him and that a Panchayat was also conducted in which he was slapped by the accused. He took the extreme step of committing suicide as he was unable to withstand the harassment and had said in the suicide note that his in-laws including the accused are responsible for his death. The court, referring to Section 306 IPC said: "In order to bring a case within the purview of Section 306 IPC, there must be a case of suicide and in the commission of the said offence, the person who is said to have abetted the commission of suicide must have played an active role by an act of instigation or by doing certain act to facilitate the commission of suicide. Therefore, the act of abetment by the person charged with the said offence must be proved and established by the prosecution before he could be convicted under Section 306 IPC." The bench also added that words uttered in a fit of anger or omission without any intention cannot be termed as instigation. It also added that there is no proximity between the Panchayat held in September, 2001, slapping incident, and the suicide committed by Arvind on 23.02.2002. "The incident of slapping by the Appellant in September, 2001 cannot be the sole ground to hold him responsible for instigating the deceased to commit suicide. ", the bench said. Allowing the appeal, the court said that there was neither a provocation nor encouragement by the accused to the deceased to commit an act of suicide and thus he could not be held guilty of abetting it.